Writing good hinge-point questions is hard and is best done collaboratively. This step introduces a site that has been built for the creation and curation of multiple-choice questions (MCQs) from the ground up and describes a collaborative project by the UK computing community to use it to crowd-source MCQs. Diagnostic Questions is an online assessment platform for crowd-sourced multiple-choice questions, developed by a small British start-up. It is already used by over 22,000 teachers, mainly in secondary mathematics, across 1,600 schools in the UK. Beyond simply recording students’ answers, Diagnostic Questions’ platform asks each student to explain why they thought their answer was correct, uses this to explain correct solutions to the student, and also helps teachers understand their students’ misconceptions. 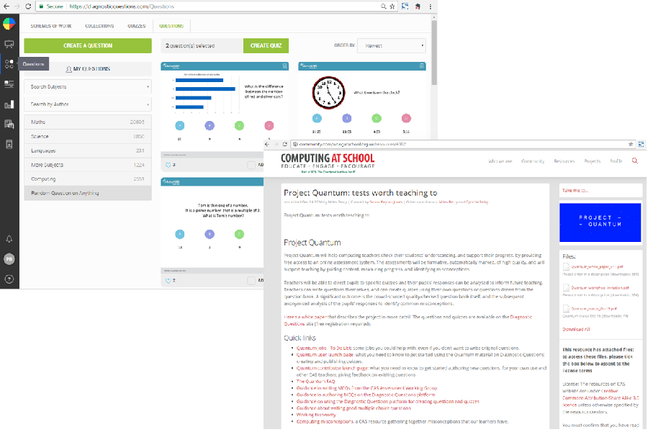 Project Quantum shows how Diagnostic Questions has been used to support the new computing curriculum in the UK. 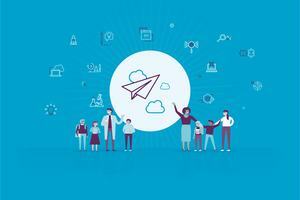 The project is a collaboration involving subject experts from Computing at Schools. They have a dedicated computing collection on Diagnostic Questions. Teachers will be able to direct pupils to specific quizzes and their pupils’ responses can be analysed to inform future teaching. Teachers can write questions themselves, and can create quizzes using their own questions or questions drawn from the question bank. 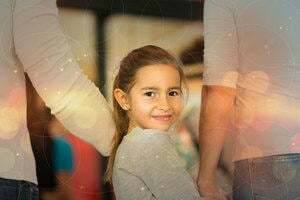 A significant outcome is the crowd-sourced quality-checked question bank itself, and the subsequent anonymised analysis of the pupils’ responses to identify common mis-conceptions. Why not try Diagnostic Questions (DQ) and share your impressions in the discussion below? At this stage we’re not suggesting you also share your hinge-point questions on DQ. One limitation of DQ is that is does not yet support multiple correct responses (one hallmark of a good hinge-point question). But you may think about how you could have a single incorrect response. We will return to the crowd-sourcing theme in Week 6.